Members of the TRPM family, on the basis of sequence homology, fall into three subgroups: TRPM1/3, TRPM4/5, and TRPM6/7. TRPM2 and TRPM8 represent structurally distinct channels. TRPM channels exhibit highly variable permeability to Ca2+ and Mg2+, ranging from Ca2+- impermeable (TRPM4 and TRPM5) to highly Cat+ and Mg2+ permeable (TRPM6 and TRPM7). In contrast to TRPCs and TRPVs, TRPMs do not contain ankyrin repeats within their N-terminal domain. The following reviews summarize the key features of the members of the TRPM subfamily (Aarts and Tymianski, 2005; Chubanov et al., 2005; Kraft and Harteneck, 2005; Kuhn et al., 2005; McNulty and Fonfria, 2005 ; Reid, 2005 ; Scharenberg, 2005 ). 1.4.1.1 Cancer TRPM1 is possibly a tumor suppressor. The melanocyte-specific gene trpm1 is exclusively expressed in melanoma cells and is down-regulated during the development of metastasis in cutaneous malignant melanoma. Malignant melanoma is a tumor developing from moles or normal-looking skin, as well as in eyes and the meninges, and constitutes the most aggressive skin tumor (Duncan et al., 2001). The inverse correlation between TRPM1 transcript expression and metastatic potential represents one of the most reliable differential diagnostic markers to discriminate between non-metastatic and metastatic melanomas. TRPM1 has at least five splice variants. A potential, but disputed, mechanism of the regulation of TRPM1 may involve a short cytosolic variant (TRPM1-S) binding to, or interacting with, the full-t ength variant (TRPM1-L) to suppress its translocation to the plasma membrane. Upon a specific yet unidentified stimulus, TRPM1-S might dissociate from TRPM1-L and might enable plasma membrane insertion of the latter where subunit proteins can associate and form functional Ca2+ influx channels (Xu et al., 2001). This model suggests that retention of TRPM1-L in an intra-cellular compartment is critical in regulating Ca2+ influx. 1.4.2.1 Cardiovascular Blocking TRPM2 may represent a novel therapeutic approach to protect against oxidant-induced endothelial barrier disruption (Dietrich and Gudermann, 2008; Hecquet et al., 2008). H2O2 stimulates ADP-ribose formation, which activates TRPM2. Expression of TRPM2 increases endothelial permeability and endothelial dysfunction by oxidative stress. siRNA depleting of TRPM2 or antibody blocking of TRPM2 attenuates the increased endothelial permeability induced by H2O2 (Hecquet et al., 2008). 1.4.2.2 Cell Death TRPM2 activation is implicated in P-cell death after application of radicals, such as H,O2 (Ishii et al., 2006). TRPM2 is activated by ROS, and its activation induces necrotic cell death. Insertion of TRPM2 into A172 human glioblastoma cells enhances cell death induced by H2O2. Proliferation, migration, and invasion activities were not affected by the expression of TRPM2 (Ishii et al., 2007). Death of hematopoietic cells through activation of caspases and poly (ADP-ribose) polymerase (PARP) cleavage might also be mediated by TRPM2 (Zhang et al., 2005). 1.4.2.3 Immunology and Inflammation TRPM2 is highly expressed in granulocytes and cells of the monocytic lineage, including macrophages (Perraud et al., 2004). When such cells are exposed to oxidative stress and become activated, they produce ROS in a process known as the respiratory burst. An involvement of ROS in the fight against invading pathogens has been postulated (Babior, 2000). Ca2+ signaling via TRPM2 could play an important role during this process: activation of TRPM2 by ROS induces Ca2+ entry, which in turn potentiates activation of this channel, leading to a positive feedback mechanism. Similar to the situation in lymphocytes, the oxidant-induced activation of the transcription factors NF-kB and AP-1 is thought to be of importance in the production of cytokines in macrophages (Iles and Forman, 2002). ROS induce chemokines responsible for the recruitment of inflammatory cells to sites of injury or infection. Recently, it has been shown that TRPM2 controls ROS-induced chemokine production in monocytes. ROS evoke Ca2+ influx through TRPM2, which subsequently activates the Ca2+-dependent tyrosine kinase Pyk2 and amplifies Erk signaling via Ras GTPase. This causes nuclear translocation of NFkB, which is essential for the production of the chemokine interleukin2 8. This mechanism is impaired in TRPM2-deficient mice (Yamamoto et al., 2008). 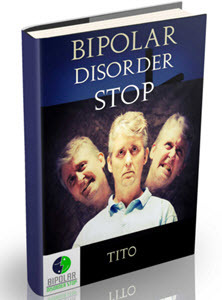 1.4.2.4 Neurological Disorders The pathophysiology of bipolar disorder has been connected to a variety of TRP channels. TRPM2 is expressed in several human tissues, and abundantly so in the brain, lymphocytes, and hematopoietic cells (Nagamine et al., 1998; Sano et al., 2001; Heiner et al., 2003). A truncated variant of TRPM2 is expressed in the striatum (i.e., caudate nucleus and putamen) (Nagamine et al., 1998; Uemura et al., 2005). Both TRPM2 and TRPM7 have been directly implicated in neuronal cell death pathways and have been proposed as potential factors in neurodegenerative diseases including Alzheimer ; s disease, amyotrophic lateral sclerosis (ALS), Parkinson's disease, stroke, and diseases associated with oxidant-mediated neuronal damage (Li et al., 2004, 2005a; McNulty and Fonfria, 2005). For instance, inhibition of TRPM2 by the selective poly(ADP-ribose) polymerase inhibitor SB-750139 (GlaxoSmithKline) attenuates hydrogen peroxide and amyloid P-peptide-2nduced cell death in rat striatum neurons (Fonfria et al., 2005). This may suggest a direct involvement of TRPM2 in Alzheimer's disease. The role of TRPM2 in neuronal cell death seems to be evident. TRPM2 expression is elevated in a rat stroke model. It is localized in microg-lial cells, which play a key role in pathology produced following ischemic injury in the CNS (Fonfria et al., 2006). II (BD-II). A putative susceptibility locus of BD-I is within the chromosomal regions 12q23-q24.1, which encodes the Ca2+-ATPase, SERCA, and 21q22.3, to which the TRPM2 gene has been mapped (Straub et al., 1994; Aita et al., 1999; Liu et al., 2001). In addition to these findings, it has been shown that SNPs in the promoter region of TRPM2 are significantly associated with BD-II, suggesting that TRPM2 polymorphisms contribute to the risk for BD-II (Xu et al., 2006). 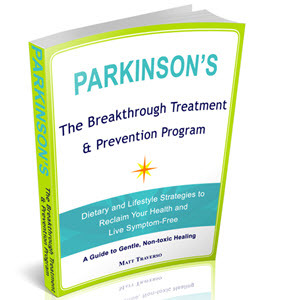 Recently, a very interesting pathology has been described in more detail, that is, Guamanian amyotrophic lateral sclerosis (ALS-G) and Parkinsonism dementia (PD-G or Parkinsonism dementia complex [PDC]). These are related neurodegenerative disorders that are found at a relatively high incidence on the Pacific Islands Guam and Rota (Plato et al., 2002). The hyper-endemic ALS-G/PDC foci in the Western Pacific (including Guam) have been extensively studied over the years. Results of these studies suggest that a complex interaction between genetic predisposition and environmental factors is involved. However, the etiology of these disorders remains elusive (Plato et al., 2003). Recent work has proposed TRPM2 and TRPM7 as candidate susceptibility genes (Hermosura et al., 2005, 2008). The trpm2 gene is located on chromosome 21 (21q22.3), which has been associated with familial ALS (Rosen et al., 1993). Recently, a heterozygous variant of trpm2 in a subset of ALS-G and PDC cases has been identified. This variant, TRPM2P1018L, produces a missense mutation in the channel protein, changing proline 1018 (Pro1018) to leucine (Leu1018). Functional studies using a heterologous expression system revealed that, unlike WT TRPM2, P1018L channels rapidly inactivate and are unable to maintain sustained ion influx (Hermosura et al., 2008). TRPM3 is expressed in the kidney, brain, pancreas, testis, and spinal cord. The gene is transcribed in at least 12 splice variants (Grimm et al., 2003; Lee et al., 2003; Oberwinkler et al., 2005), which have been shown to be functionally distinct (Oberwinkler et al., 2005). Importantly, TRPM3 has now been indentified as a steroid-modulated channel; for example, pregnenolone sulfate activates the channel. In addition, TRPM3 is highly expressed in the pancreas and may play an important role in insulin release (Nilius and Voets, 2008; Wagner et al., 2008). TRPM4 and TRPM5 represent the only known TRP channels that are directly gated by elevated [Ca2+]i. Both TRPM4 and TRPM5 are essentially impermeable to Ca2 + but form ion channels permeable to monovalent cations with single-channel conductances of approximately 20-25 pS. They are depolariz ing channels that reduce the inward driving force for Ca2+. TRPM4 proteins are detected in the following: heart, pancreas, intestine, lung, thymus, uterus, vomeronasal organ, brain, fat tissue, adrenal gland, kidney, spleen, cultured aortic endothelial cells, and bone marrow-derived mast cells (Vennekens and Nilius, 2007). TRPM5, which is expressed in taste receptor cells, is a downstream depolarizing signal transducer of G protein-coupled receptors in taste buds. TRPM5 appears to be important, though not indispensible, for the transduction of sweet, amino acid, and bitter stimuli (Perez et al., 2002; Zhang et al., 2003 ; Damak et al., 2006). 1.4.4.1 TRPM4 in Immune Cells TRPM4 exerts control over [Ca2+]i in mast cells by maintaining a relatively depolarized membrane potential, which limits the driving force for Ca2+ entry (Vennekens and Nilius, 2007; Vennekens et al., 2007). 2rpm4-~ bone marrow-derived mast cells activate a larger Ca2+ entry after FceI stimulation than 2rpm4+l+ mast cells and release more histamine, leukotrienes, and tumor necrosis factor. 2rpm4-~ mice also exhibit a more severe IgE-mediated acute passive cutaneous anaphylactic response. These results may suggest a new mechanism of allergic hypersensitivity and may provide a new therapeutic target (Vennekens and Nilius, 2007; Vennekens et al., 2007). A similar mechanism may regulate Ca2+ oscillations after T-lymphocyte activation, which is required for NFAT-dependent interleu-kin-2 (IL-2) production (Launay et al., 2004). However, it is unclear whether TRPM4 is actually expressed in T cells (Vennekens and Nilius, 2007; Vennekens et al., 2007). Nevertheless, it seems likely that defects in the function of TRPM4 will result in the inappropriate release of cytokines, triggering immunological hyperresponsiveness, proinflammatoty conditions 2 or allergy. 1.4.4.2 Cardiovascular TRPM4-like currents have been observed in many tissues, including cardiomyocytes (Guinamard et al., 2004a,b). TRPM4 is over-expressed in cardiomyocytes from spontaneously hypertensive rats, which also show cardiac hypertrophy, kidney sclerosis, and increased bone calcification and are characterized by cardiac arrhythmias caused by delayed after-depolarization. TRPM4-like channels may be involved in the myogenic constriction response in small arteries (Bayliss effect) (Earley et al., 2004). Alteration of the arterial myogenic response associated with stroke causes cerebral autosomal dominant arteriopathy with subcortical infarcts and leu-koencephalopathy (CADASIL) (Folgering et al., 2008). in sensing the metabolic state of the cell and NO in endothelial cells (Suh et al., 2002). 1.4.4.3 Neurological Disorders An intriguing function for TRPM4 can be proposed based on experiments in which the GABA receptor antagonist bicu-culline was employed to initiate spontaneous epileptic activity in neocortical slices. TRPM4-like channels are activated during paroxysmal depolarization shift (PDS) discharges and appear to play a role in maintaining subsequent sustained after-depolarization waveforms. The latter effect depends on an increase in [Ca'+]i and can be blocked by maneuvers that inhibit TRPM4 (Schiller, 2004). Neuronal damage evoked by reduced blood supply to the brain ("vascular stroke"), which induces severe hypoxia and hypoglycemia, is very often accompanied by a phenomenon in which susceptible neurons slowly lose their membrane potential and then suddenly enter a transient state of complete depolarization, known as spreading depression (SD) -like hypoxic depolarization. SD is associated with an increase in [Ca2+]i. Intriguingly,TRPM4 (and TRPM5) could be a candidate for triggering this dramatic event, although there is at present no direct experimental evidence in support of this conjecture (Somjen, 2001; Anderson and Andrew, 2002). It is also worthwhile mentioning that activation of a current with features reminiscent of TRPM4 is involved in the generation of slow (<1 Hz) sleep oscillations (Crunelli et al., 2005). Another example that hints at a contribution of TRPM4 in the pathogenesis of brain swelling during stroke is the discovery in hypoxic gliotic tissue of a nonselective Ca2 +- activated channel (NCCa - ATP) that also opens under conditions of [ATP]' depletion (Chen and Simard, 2001' Simard and Chen, 2004). This channel, which shares many properties with TRPM4 (i.e., single-channel conductance, concentration range of activation by [Ca2+]i, submicromolar block by ATP, and voltage-dependent open probability), is found in astrocytes in the adult brain and is regulated by sulfonylurea receptor 1 (SUR1), similar to the Katp channel (Chen et al., 2003). Activation of NCCa-ATP causes complete membrane depolarization and cell swelling in astrocytes from injured brains (Chen and Simard, 2001; Simard and Chen, 2004). Many diseases in the brain, including traumatic conditions, edema, ischemia, and stroke are exacerbated by cerebral edemas. Importantly, these events induce an upregulation of NCCa-ATP (Simard et al., 2006). Cerebral edema after occlusion of the middle cerebral artery (MCA) stroke is responsible for a high mortality of ~80% of the patients (Ayata and Ropper, 2002). Edemas in MCA stroke are paralled by an increased expression of the SUR1 driven by an upregulation of the transcription factor Sp 1. Glibenclamide attenuates the development of cerebral edema by MCA stroke. It would be interesting to determine whether TRPM4 is indeed the channel regulated by SUR1 and involved in the patho-genesis of cerebral edemas. If so, TRPM4 might provide a new and promising therapeutic approach to stroke. Beckwith-Wiedemann syndrome (BWS)- a disease that is mainly characterized by exomphalus, macroglossia, gigantism, and taste abnormalities. Moreover, BWS patients also demonstrate a strong predisposition for neopla-sias, especially for Wilms tumor and the aggressive rhabdomyosarcomas. Therefore, it seems likely that this area contains at least one gene with onco-genic potential and/or a tumor suppressor gene, and impairment in their function, or regulation, will potentially result in disease development. A possible connection between gain- of--unction TRPM5 and BWS is anticipated. So far, no mutations in the TRPM5 gene that relate to BWS are known. 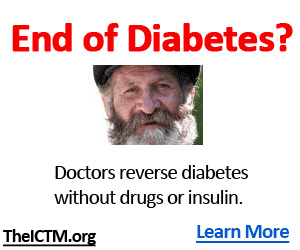 Interestingly, possibly affected genes are insulin-like growth factor 2 (IGF2), cyclin-dependent kinase inhibitor 1C (CDKN1C), cyclin-dependent kinase inhibitor p21 (p21CIP1), KCNQ1OT1 (potassium channel KCNQ1), and ZNF215 (putative transcription factor), which are located in the same chromosomal region. Such a complex situation might be expected also for other TRPs, which are involved in syndromic diseases. Interestingly, BWS patients have persistent hypoglycemia and hyperinsulinism, features that are similar to diseases caused by mutations in the SUR1 subunits of the KATP channel, which is crucial in glucose-regulated insulin release (Fournet et al., 2001; Munns and Batch, 2001). Because TRPM5 is highly expressed in pancreatic P cells (Prawitt et al., 2003), it is tempting to hypothesize that the TRPM5 channel plays a unique regulatory role in islet P -cell function. It can be assumed that the upregulation of insulin secretion has an oncogenic potential indicating a possible connection between functional TRPM5 and BWS that has not yet been discovered. It remains to be shown whether TRPM5 might play a role in dysfunction of insulin secretion. Are You Extremely Happy One Moment and Extremely Sad The Next? Are You On Top Of The World Today And Suddenly Down In The Doldrums Tomorrow? Is Bipolar Disorder Really Making Your Life Miserable? Do You Want To Live Normally Once Again? Finally! 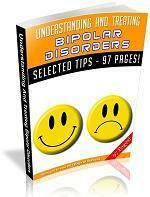 Discover Some Highly Effective Tips To Get Rid Of Bipolar Disorder And Stay Happy And Excited Always! Dont Let Bipolar Disorder Ruin Your Life Anymore!